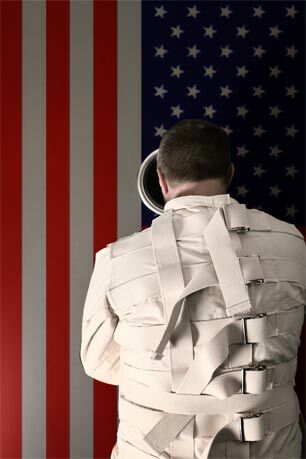 (Image: Straitjacket man via Shutterstock; Edited: JR/TO)Americans who live abroad — more than six million of us worldwide (not counting those who work for the U.S. government) — often face hard questions about our country from people we live among. Europeans, Asians, and Africans ask us to explain everything that baffles them about the increasingly odd and troubling conduct of the United States. Polite people, normally reluctant to risk offending a guest, complain that America’s trigger-happiness, cutthroat free-marketeering, and “exceptionality” have gone on for too long to be considered just an adolescent phase. Which means that we Americans abroad are regularly asked to account for the behavior of our rebranded “homeland,” now conspicuously in decline and increasingly out of step with the rest of the world. In my long nomadic life, I’ve had the good fortune to live, work, or travel in all but a handful of countries on this planet. I’ve been to both poles and a great many places in between, and nosy as I am, I’ve talked with people all along the way. I still remember a time when to be an American was to be envied. The country where I grew up after World War II seemed to be respected and admired around the world for way too many reasons to go into here. That’s changed, of course. Even after the invasion of Iraq in 2003, I still met people — in the Middle East, no less — willing to withhold judgment on the U.S. Many thought that the Supreme Court’s installation of George W. Bush as president was a blunder American voters would correct in the election of 2004. His return to office truly spelled the end of America as the world had known it. Bush had started a war, opposed by the entire world, because he wanted to and he could. A majority of Americans supported him. And that was when all the uncomfortable questions really began. In the early fall of 2014, I traveled from my home in Oslo, Norway, through much of Eastern and Central Europe. Everywhere I went in those two months, moments after locals realized I was an American the questions started and, polite as they usually were, most of them had a single underlying theme: Have Americans gone over the edge? Are you crazy? Please explain. Then recently, I traveled back to the “homeland.” It struck me there that most Americans have no idea just how strange we now seem to much of the world. In my experience, foreign observers are far better informed about us than the average American is about them. This is partly because the “news” in the American media is so parochial and so limited in its views both of how we act and how other countries think — even countries with which we were recently, are currently, or threaten soon to be at war. America’s belligerence alone, not to mention its financial acrobatics, compels the rest of the world to keep close track of us. Who knows, after all, what conflict the Americans may drag you into next, as target or reluctant ally? So wherever we expatriates settle on the planet, we find someone who wants to talk about the latest American events, large and small: another country bombed in the name of our “national security,” another peaceful protest march attacked by our increasingly militarized police, another diatribe against “big government” by yet another wannabe candidate who hopes to head that very government in Washington. Such news leaves foreign audiences puzzled and full of trepidation. Take the questions stumping Europeans in the Obama years (which 1.6 million Americans residing in Europe regularly find thrown our way). At the absolute top of the list: “Why would anyone oppose national health care?” European and other industrialized countries have had some form of national health care since the 1930s or 1940s, Germany since 1880. Some versions, as in France and Great Britain, have devolved into two-tier public and private systems. Yet even the privileged who pay for a faster track would not begrudge their fellow citizens government-funded comprehensive health care. That so many Americans do strikes Europeans as baffling, if not frankly brutal. In the Scandinavian countries, long considered to be the most socially advanced in the world, a national (physical and mental) health program, funded by the state, is a big part — but only a part — of a more general social welfare system. In Norway, where I live, all citizens also have an equal right to education (state subsidized preschool from age one, and free schools from age six through specialty training or university education and beyond), unemployment benefits, job-placement and paid retraining services, paid parental leave, old age pensions, and more. These benefits are not merely an emergency “safety net”; that is, charitable payments grudgingly bestowed upon the needy. They are universal: equally available to all citizens as human rights encouraging social harmony — or as our own U.S. constitution would put it, “domestic tranquility.” It’s no wonder that, for many years, international evaluators have ranked Norway as the best place to grow old, to be a woman, and to raise a child. The title of “best” or “happiest” place to live on Earth comes down to a neighborly contest among Norway and the other Nordic social democracies, Sweden, Denmark, Finland, and Iceland. This system didn’t just happen. It was planned. Sweden led the way in the 1930s, and all five Nordic countries pitched in during the postwar period to develop their own variations of what came to be called the Nordic Model: a balance of regulated capitalism, universal social welfare, political democracy, and the highest levels of gender and economic equality on the planet. It’s their system. They invented it. They like it. Despite the efforts of an occasional conservative government to muck it up, they maintain it. Why? In all the Nordic countries, there is broad general agreement across the political spectrum that only when people’s basic needs are met — when they can cease to worry about their jobs, their incomes, their housing, their transportation, their health care, their kids’ education, and their aging parents — only then can they be free to do as they like. While the U.S. settles for the fantasy that, from birth, every kid has an equal shot at the American dream, Nordic social welfare systems lay the foundations for a more authentic equality and individualism. These ideas are not novel. They are implied in the preamble to our own Constitution. You know, the part about “we the People” forming “a more perfect Union” to “promote the general Welfare, and secure the Blessings of Liberty to ourselves and our Posterity.” Even as he prepared the nation for war, President Franklin D. Roosevelt memorably specified components of what that general welfare should be in his State of the Union address in 1941. Among the “simple basic things that must never be lost sight of,” he listed “equality of opportunity for youth and others, jobs for those who can work, security for those who need it, the ending of special privileges for the few, the preservation of civil liberties for all,” and oh yes, higher taxes to pay for those things and for the cost of defensive armaments. Knowing that Americans used to support such ideas, a Norwegian today is appalled to learn that a CEO of a major American corporation makes between 300 and 400 times as much as its average employee. Or that governors Sam Brownback of Kansas and Chris Christie of New Jersey, having run up their state’s debts by cutting taxes for the rich, now plan to cover the loss with money snatched from the pension funds of workers in the public sector. To a Norwegian, the job of government is to distribute the country’s good fortune reasonably equally, not send it zooming upward, as in America today, to a sticky-fingered one percent. In their planning, Norwegians tend to do things slowly, always thinking of the long term, envisioning what a better life might be for their children, their posterity. That’s why a Norwegian, or any northern European, is aghast to learn that two-thirds of American college students finish their education in the red, some owing $100,000 or more. Or that in the U.S., still the world’s richest country, one in three children lives in poverty, along with one in five young people between the ages of 18 and 34. Or that America’s recent multi-trillion-dollar wars were fought on a credit card to be paid off by our kids. Which brings us back to that word: brutal. * Why can’t you Americans stop interfering with women’s health care? * Why can’t you understand science? * How can you still be so blind to the reality of climate change? * How can you speak of the rule of law when your presidents break international laws to make war whenever they want? * How can you hand over the power to blow up the planet to one lone, ordinary man? * How can you throw away the Geneva Conventions and your principles to advocate torture? * Why do you Americans like guns so much? Why do you kill each other at such a rate? To many, the most baffling and important question of all is: Why do you send your military all over the world to stir up more and more trouble for all of us? Europeans understand, as it seems Americans do not, the intimate connection between a country’s domestic and foreign policies. They often trace America’s reckless conduct abroad to its refusal to put its own house in order. They’ve watched the United States unravel its flimsy safety net, fail to replace its decaying infrastructure, disempower most of itsorganized labor, diminish its schools, bring its national legislature to a standstill, and create the greatest degree of economic and social inequality in almost a century. They understand why Americans, who have ever less personal security and next to no social welfare system, are becoming more anxious and fearful. They understand as well why so many Americans have lost trust in a government that has done so little new for them over the past three decades or more, except for Obama’s endlessly embattled health care effort, which seems to most Europeans a pathetically modest proposal. What baffles so many of them, though, is how ordinary Americans in startling numbers have been persuaded to dislike “big government” and yet support its new representatives, bought and paid for by the rich. How to explain that? In Norway’s capital, where a statue of a contemplative President Roosevelt overlooks the harbor, many America-watchers think he may have been the last U.S. president who understood and could explain to the citizenry what government might do for all of them. Struggling Americans, having forgotten all that, take aim at unknown enemies far away — or on the far side of their own towns. It’s hard to know why we are the way we are, and — believe me — even harder to explain it to others. Crazy may be too strong a word, too broad and vague to pin down the problem. Some people who question me say that the U.S. is “paranoid,” “backward,” “behind the times,” “vain,” “greedy,” “self-absorbed,” or simply “dumb.” Others, more charitably, imply that Americans are merely “ill-informed,” “misguided,” “misled,” or “asleep,” and could still recover sanity. But wherever I travel, the questions follow, suggesting that the United States, if not exactly crazy, is decidedly a danger to itself and others. It’s past time to wake up, America, and look around. There’s another world out here, an old and friendly one across the ocean, and it’s full of good ideas, tried and true. Ann Jones is an independent writer and photographer. She is the author of Kabul in Winter, War Is Not Over When It’s Over, and the feminist classic Women Who Kill, among other books. 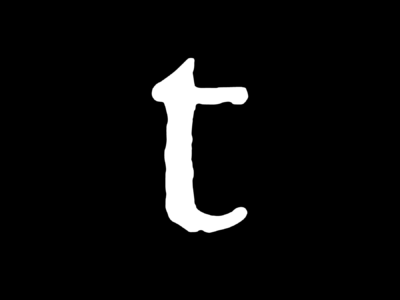 Her journalism appears most often in The Nation and online at TomDispatch.